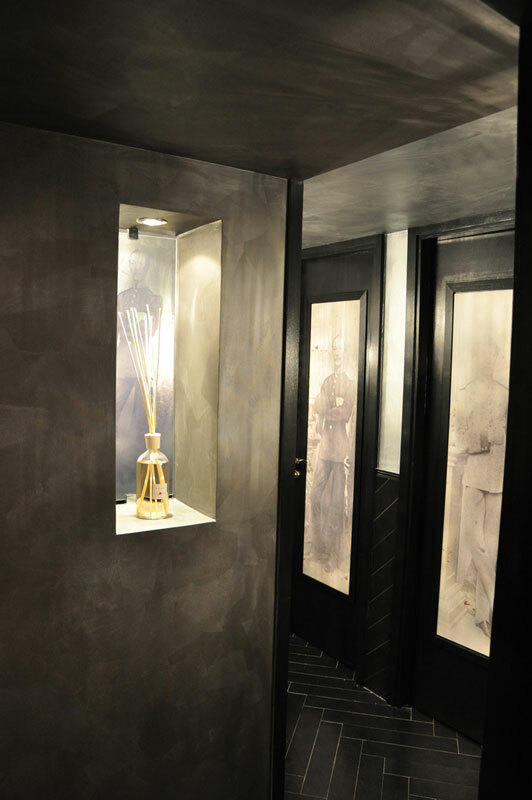 The hill of Lycabettus is the highest peak of Athens, which overlooks the capital from 277 meters. 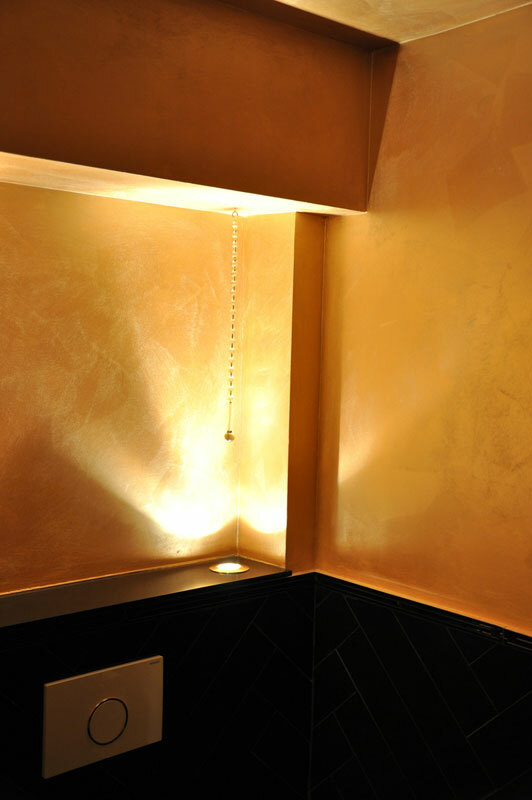 at the top, a classic athenian gourmet restaurant, “orizontes” spreads in several levels. 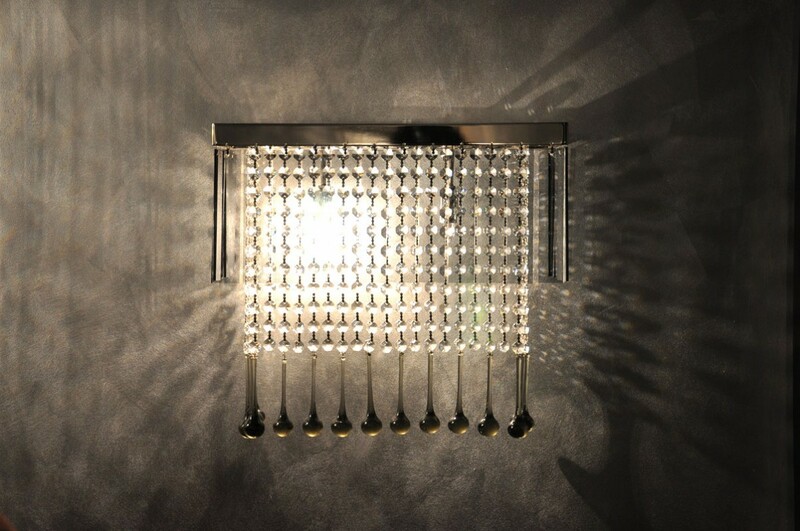 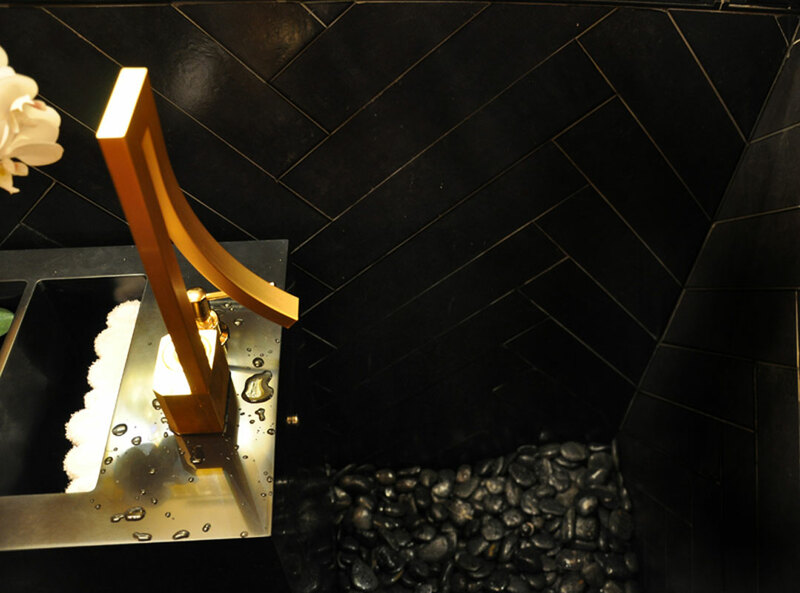 A harmonic combination of elegance and objects of discreet luxury forms the basis of a high class environment. 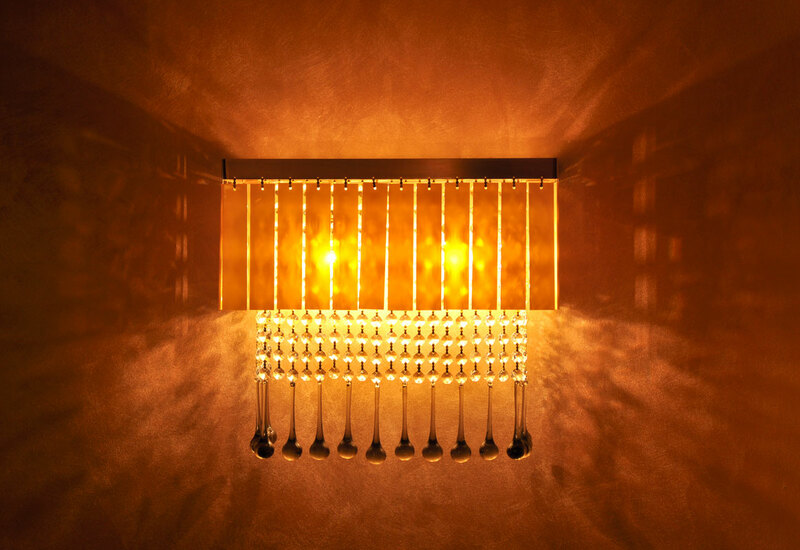 Orizontes Restaurant offers its guests a journey of colors and a plethora of aromas of the Mediterranean cuisine as seen through the eyes. 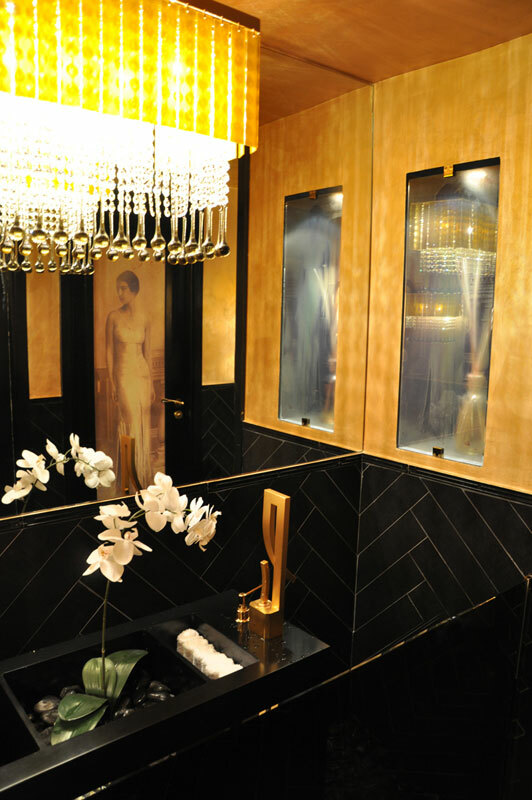 the project consisted in the rennovation of the restrooms which share the same level with the guests lobby. 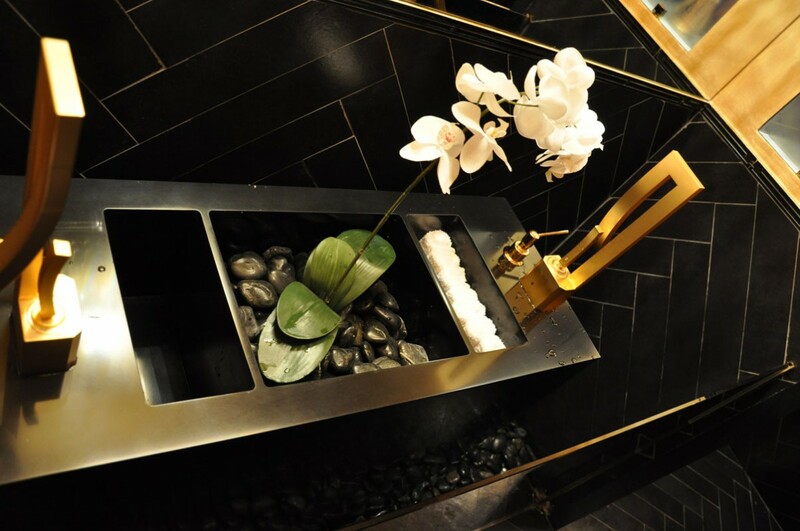 Thus, the challenge was to integrate them in a luxury environment. 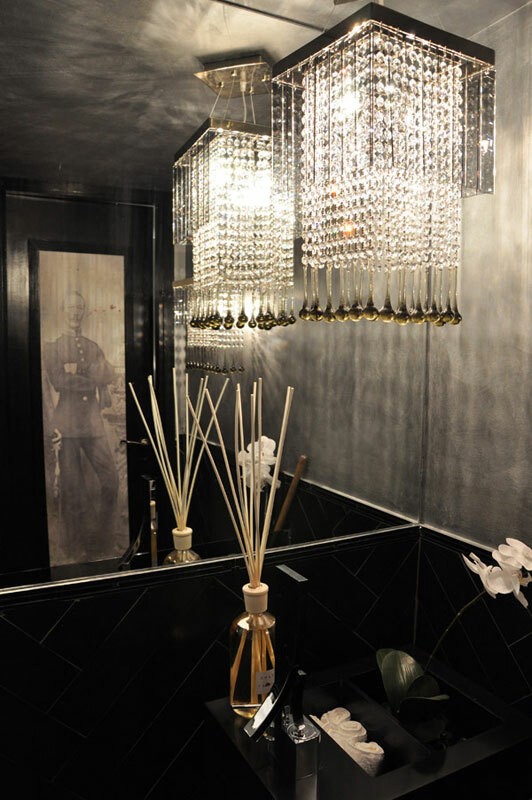 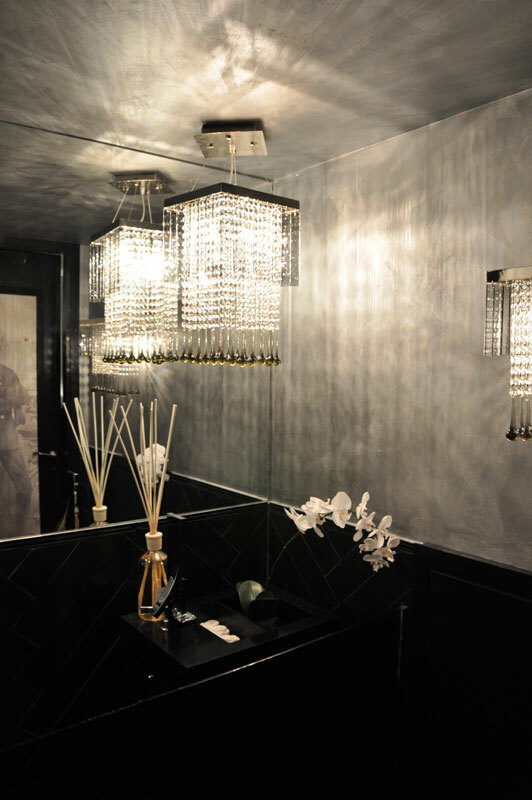 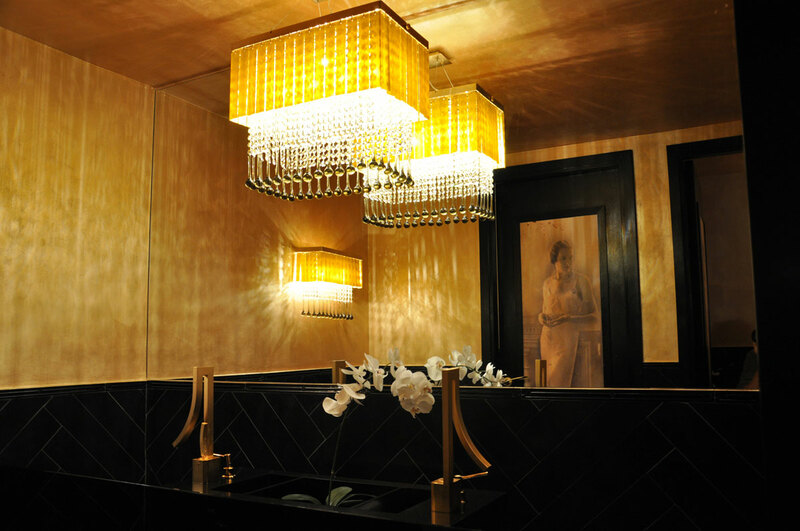 The inspritation for this project is rooted deeply in the ambience of the 20’s, and was expressed through the use of metallic paints and modern crystal chandeliers. 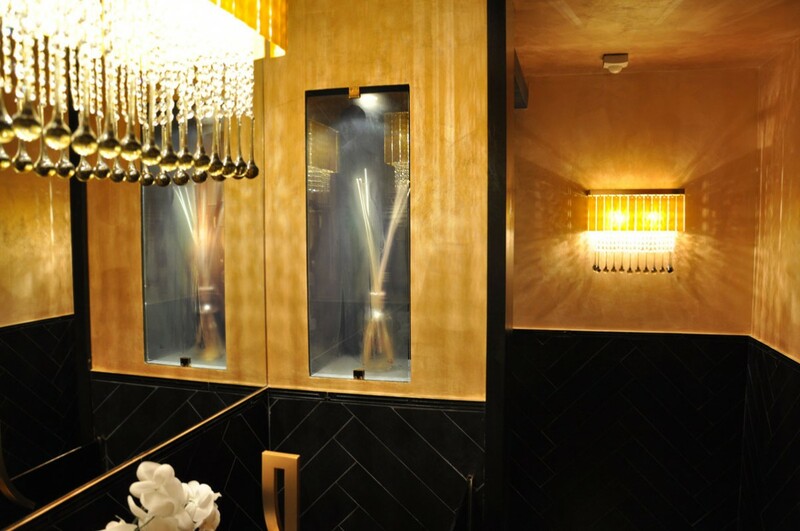 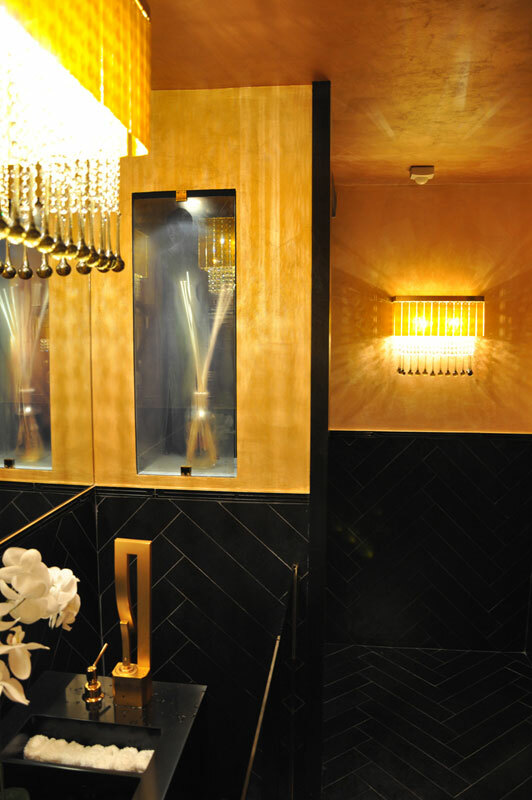 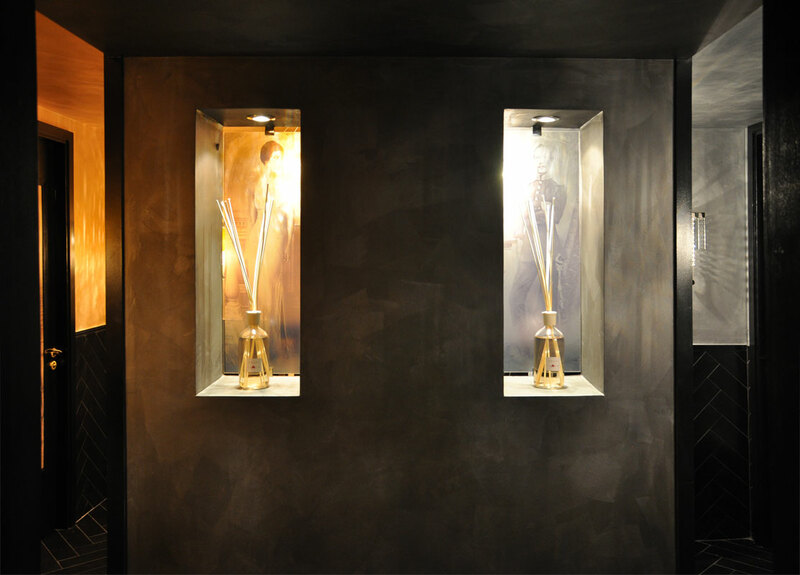 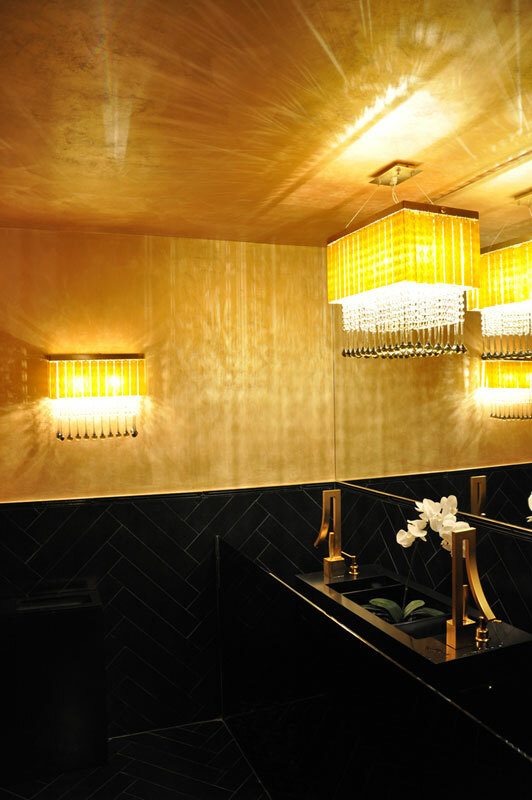 In the spirit of art deco, gold was used for the ladies restrooms and silver for the gentlemens. 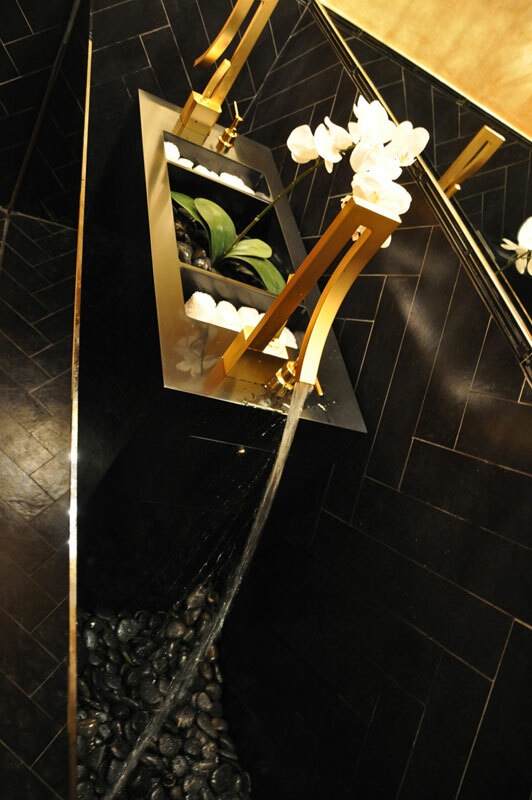 High end faucets, orchids, black pebbles and original photos dating back in the 20s were used to emphasize this delicate era.